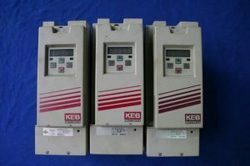 We are one of the most reputed manufacturers and suppliers of Electrical, Electronics and Automation products. Our wide range of products includes Electrical Products, Electrical Instruments and CNC Retrofit Walter. We are professionally managed organisation and has a team who are dedicated and committed to offer products that exceed customer expectations at all levels. With state-of-the-art infrastructure at Bengaluru, Karnataka we make use of the latest machines and technology to ensure quality production. Our flexibility in custom order manufacturing, quality products, competent pricing and ethical business practice makes us a preferred name.